Faked fossils hold up science; there’s no two ways about it. Palaeontologists need a thick skin to realize that sometimes, those hours spent examining and interpreting a fossil may have been entirely wasted. Sometimes, although the fossil may have been tampered with, the work may not have been wholly in vain, and there may be still viable science that can be done. And sometimes, like in this week's hoaxed fossil, there can be a whole new family of dinosaurs to describe. The fraudulent fossil from this week's article hails from the Santana formation of Brazil, which has been a rich source of important Cretaceous paleontological specimens ever since its discovery in the 19th century. In particular, unearthed from it has been some of the most incredible pterosaurs ever found. It has also been a rich source of souvenirs for the many tourists and for the commercial fossil trade, and fossil fishes can be readily bought for very reasonable prices. Hand in hand with this is the routine practice of pimping-up fossils (for want of a better word) to make them more complete or elaborate to give them a better value on the commercial market. The trade of fossils has been illegal in Brazil since 1973. But, as with any sort of prohibition, this has simply driven the trade underground, and meant that the practitioners coup much less money for their efforts. For example, after preparation, a decent Cladocyclus specimen might expect to fetch £5000, of which the collector will get £6. Such collectors are often repeatedly arrested, but will valiantly continue digging for fossils until they are arrested again. It is not difficult to see why; a humble but exquisitely preserved beetle might garner £70 for the collector; more than twice their average weekly income. This ban has also brought about an associated crime: the smuggling of fossils out of the country. 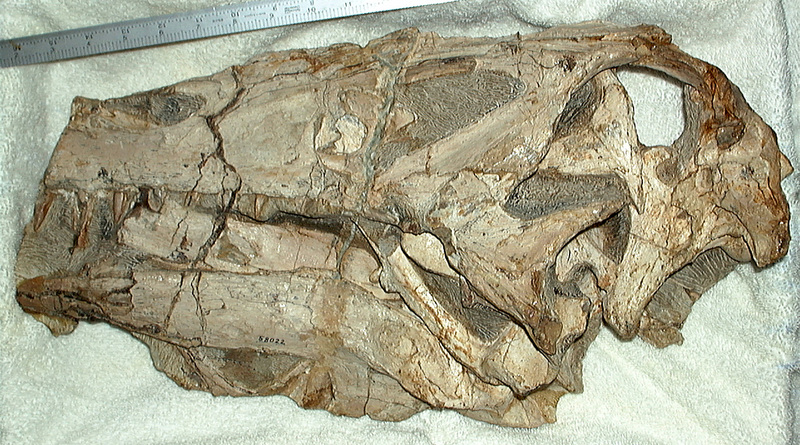 Fossils are systematically taken in trucks to cities such as Recife, Sio Paulo, and Rio de Janeiro, to be shipped using either forged papers or bribery. So, despite the ban, as long as your price is high enough, you can get pretty much anything you want. Middlemen take these fossils away to fetch enormous prices; usually in Germany or the Far East. Many of these smuggled fossils end up on the walls of corporate receptions and offices; there is even a dedicated fossil dealers that supplies interior decorators. Tragically, it has meant that not only are many of Brazil's most incredible specimens no longer in Brazil; in many cases they are lost forever to private collections. This is a problem that is not exclusive to Brazil. Other countries with such legislation, such as Mongolia, China and the US among many others, all suffer from the illegal pillaging of their paleontological riches. It is also very hard on the academic community as a whole. No scientist has enough funding to be able to afford to fund big digs to find and unearth some of the more incredible fossils, and so many scientists and museums rely on honest dealers presenting their exceptional finds. It is incredibly galling when the price is just too high, and the specimen simply disappears into private hands. In the US, where this legislation is enforced very ruthlessly, it is a massive problem. As Hugh Genoways, former director of the Nebraska State Museum, puts it; "High prices have stripped away the scientific value of these finds and left perhaps only the aesthetic value. They have become merely curiosities for someone's coffee table." The solution, then, is not more anti-commerce legislation. Counter-intuitive though it may seem, the ideal solution is actually more of a laissez-faire attitude. By allowing dealers to freely trade fossils, academics get their important specimens, accountants get their coffee-table ornaments, and dilligent collectors get money to feed their families. Most importantly, by building trust between the dealer and the academic, the dealer will not accidentally nearly destroy an important fossil by attempting to artificially enhance it. Which brings us to this week's hoax of the week. The Santana formation has long been famous for its fish and for its pterosaurs. A skull of such a pterosaur was housed in the Staatliches Museum fur Naturkunde Stuttgart in Germany, which had its elongate, laterally compressed snout-tip, but also an unusual elaborate sagittal crest and elongated snout. Dave Martill, a paleontologist from the University of Portsmouth in the UK and an expert in the fossils from the Santana formation, set out to investigate what was either a very bizarre pterosaur or a very odd fake. Martill noticed that the interpretation as a pterosaur was inconsistent with the tooth replacement pattern and the bone thickness. After examining the skull in a CAT scanner, the team saw clearly that the skull had been doctored. However, it had been doctored to a far greater degree than they had perhaps anticipated. The nose had actually been elongated artificially by gluing broken off bits of skull onto the end of its snout. The forgers had concealed the fabrication by gluing on bits of rock from other parts of the specimen, bulking it up using lashings of Isopon car body filler. You’re probably thinking that this is perhaps a fairly innocuous example to have the accolade of number 4 in my list of paleontology fakes. It is true that, unlike all the other examples on this list, no person came out of the Irritator episode accompanied by anything as much as a murmur of professional embarrassment, and the museum that housed it didn’t have to chuck yet another specimen in the bin. No, the reason why I like this story is that some hapless Brazilian collector saw this fossil skull and, hilariously, thought that this apparently boring skull was far too run-of-the-mill, thinking that the only way that any buyer would want this fossil would be if it had some fanciful head crest and snout. Irritator, then, is essentially an inverse hoax. Rather than finding an incredible dinosaur, challenging it, and peeling it back to find a mediocre concoction, Martill and co. found a mediocre fossil, and peeled it back to find an incredible dinosaur that belonged to a brand new family of spinosaurs. I think Irritator can be a testament to the thousands of similar cases each year of specimens sifted through by paleontologists worldwide. Basically, it got into my list because its got a very silly name. Eagle eyed readers may have spotted (I doubt it!) that at the bottom of the last post in this series, I originally said that Von Huene’s Leptopterygius would be #4. Well, it would have been, only I couldn't find nearly enough information to write a whole article on. I will briefly recount the story here, because it is quite incredible. You may well have heard of Friedrich von Huene; he named 71 dinosaurs, making him the second greatest dinosaur namer of all time, after Othniel Marsh. After a long and distinguished career, at the age of 91, the most distinguished reptile palaeontologist of his age was fooled. Not just by a slightly doctored specimen; not even by an amalgam of different specimens, but by a simple carving, sculpted directly out of rock. The carving was of a juvenile Leptopterygius, an icthyosaur. To add insult to injury, von Huene had actually named the genus himself in 1922 and had been actively researching icthyosaurs his whole life. I can only assume that the lack of sources must mean that some kindly collegue spotted his mistake quickly, and hence it never entered the mainstream literature. It still beggars belief, though.